Do you have a mentor? Many people talk about the need for one in fiction and in real life. Before I ever had one, I remember having an idealistic view of what having a mentor would involve—someone who offered sage advice and remained in your life for years. 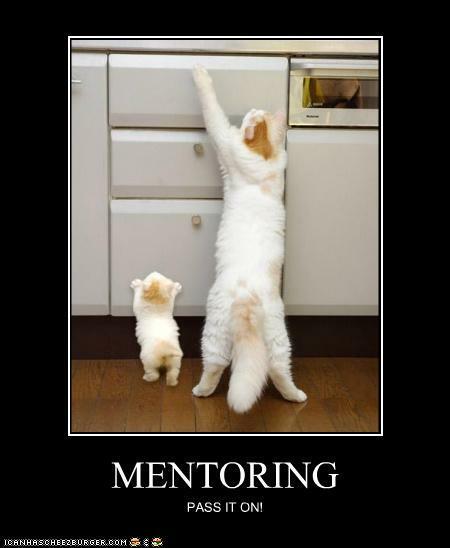 But my experiences with mentors have been mostly brief. The function of the mentor is to prepare the hero to face the unknown, to accept the adventure. After that, I had some growing up to do as a writer. As you know, part of the growing up process involves figuring out who you are and who you’re not. After my days as an English lit/writing major, I quickly learned that the literary track—the one paved with GANs (Great American Novels) for adults—was not for me. Instead, I gravitated toward writing for children and young adults. Ironic, huh, that by growing up I would discover a commitment to writing for kids. In my grad program, which was chosen after I came to the realization of where I belong, I was given four advisors—four mentors if you will. (They’re all still alive by the way. I’m sure they’re relieved on that score. Thankfully, many mentors live.) But each was given only a six-month stretch to help me on the journey to graduation (though I tried to cling to them all after graduation). While in the program, I also had a student mentor—someone who had been in the program for a while and could help me navigate the journey. But she graduated soon after I arrived at the school. Today I am seemingly mentorless. Seemingly, because I realize I have a Mentor, one whom I meet every day in prayer. He’d been there all along, even in the days when I yearned for significance as a GAN (Great American Novelist). The fact that I have been mentored gave me the desire to be a mentor to some young writers. Though some preferred only a brief stint as my mentee, I’m glad I had the opportunity to be a mentor, however briefly. And I never once called anyone Padawan. If you’re not currently a mentor or are without one, do you think you’d like to be one or at least have one? 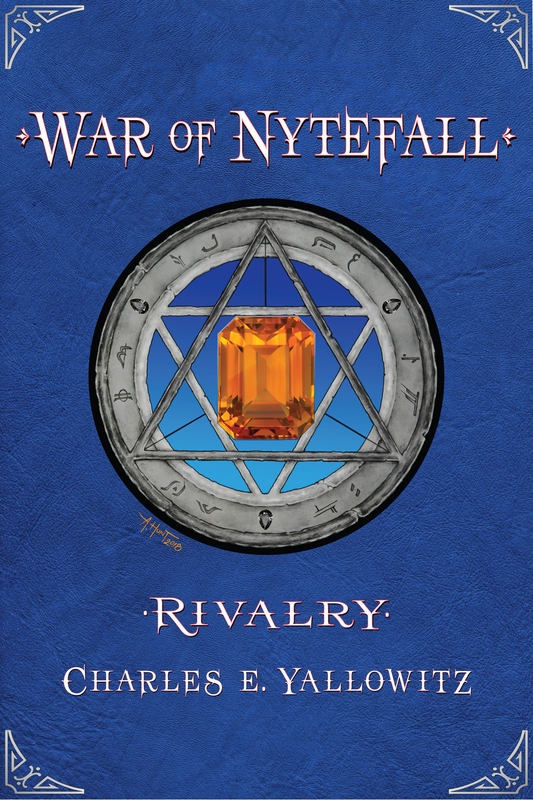 While you think about that, I will move on to the winner of War of Nytefall: Rivalry by Charles Yallowitz, which this post discusses. That winner, according to the random.org generator, is . . .
Congratulations, Lyn! Comment below to confirm. Henry is torn between two possible mentors: the ever exciting Malik or the always chill Olive. My advice? When in doubt, have ice cream. Frog-shaped mint ice cream is the best! 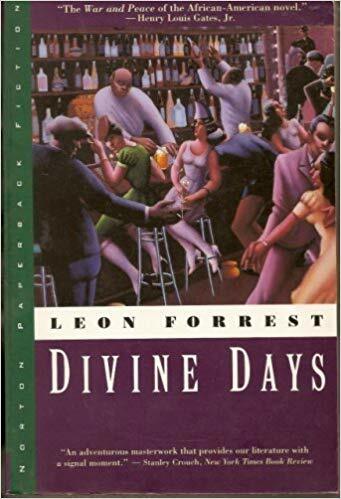 Divine Days book cover from Amazon. War of Nytefall: Rivalry book cover and author photo courtesy of Charles Yallowitz. 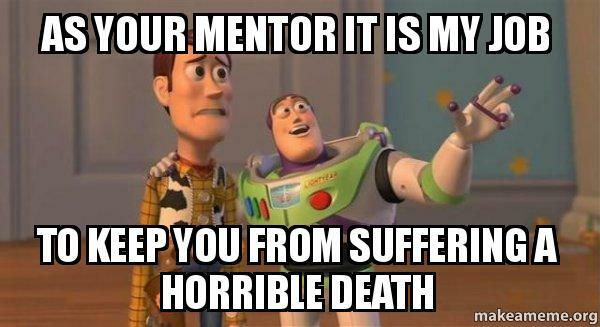 Mentor memes from somewhere on the internet. Other photos by L. Marie. 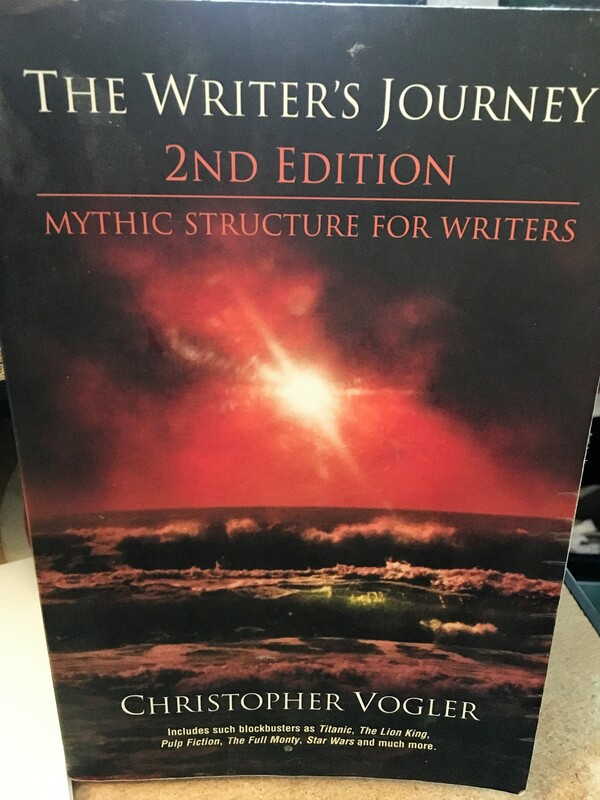 This entry was posted in Craft of writing, Fantasy Books, Hero's journey, Inspiring Authors, Kids, Mentors, Teens, Young adult fiction and tagged Adult fantasy, Charles Yallowitz, Chicago novelists, fantasy, Great American Novelists, Great American Novels, Kids, Leon Forrest, Northwestern University, Teens, Writing by L. Marie. Bookmark the permalink. Mentoring is a time-consuming process. I was asked to mentor some writers who told me flat out that they didn’t want to be mentored. 😑 Needless to say those experiences were very brief. I’ve never had a mentor nor have I ever been one. For years I followed a website that taught me so much about the writing process. It was run by several women, so I guess you could say they were my mentors. As I’ve gotten older and have faced more challenges, God is really the only mentor I need. Psalms 32:8 reminds me of this each morning. Good verse, Jill! I’m glad He helps you. 😊 And I’m glad that people have spoken into your writing in some degree. It’s hard to take the time to mentor someone. I’m glad you have a community of authors at your publisher who help each other. 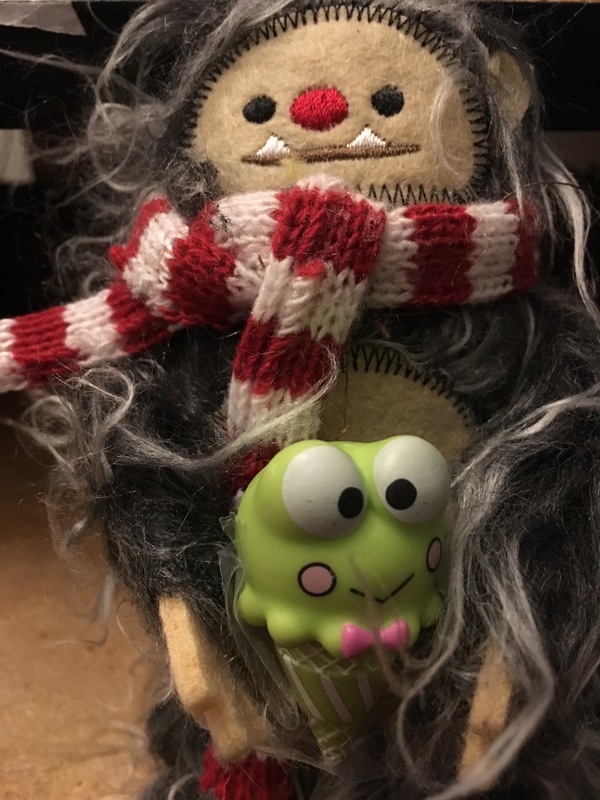 Never really had a strict mentor because finding another fantasy author is like hunting for Bigfoot. I can’t be sure if I ever was one either. There are times I’ve helped others think and talk through a story, but I considered that more of a fellow traveler thing. Does parenting count? I know what you mean about finding a fantasy author who can speak into your writing life. Those are rare, despite the plethora of books out there. Everyone is in his or her own world. I consider your blog a mentoring place where people can come and get advice and help each other. Thanks. I’ve actually heard that once or twice. Wishing you good success this year! I’ve never had a mentor nor has anyone asked me to be theirs. I’d like to have had someone help me along the way, but being a quiet introvert I don’t think the right people paid attention to me like they did the noisy extroverts. So it goes, I guess. I’m content where I’ve landed, but I won’t lie, a little guidance along the way would have been encouraging. This is such an interesting subject. Mentors come and go, and I think we have different ones at different stages of our lives. I’ve had a few professional mentors in my life, but like you our time together was brief – and you have to remember your mentor gives up your time for you and has their own life. I do feel I like being mentorless as that’s when my thoughts run the most freely. He does indeed, Mabel! Yes, one of the unwritten rules of life is, Never take ice cream from a yeti. It seems fitting that mentors show up briefly then go on their way. They serve a purpose: to spur you on. I mistakenly thought they should hang around like some pairs of socks I have that are full of holes. Yet I keep them around for some reason. My earliest mentor was my aunt, who figures large in my memoir. I like to think I mentored some college students along the way, some of whom have become just friends. Since I’ve begun blogging, other memoirists have become my mentors. All are younger than I, which says something about the hero’s journey. I love that you include Henry in your own blogging journey – what a delight to have him as part of the travelogue. Like you, my dearest Mentor is one whom I meet every day in prayer. Thanks for all this, L. Marie! I was glad to talk about the subject, Marian. So glad you are investing in your fellow memoir writers. I hope they appreciate your wisdom. I’ve benefitted from informal mentoring arrangements throughout my life ~ they can be invaluable. They can indeed, Nancy. I’ve had work mentors who were very helpful. I wish I could write a post about how some wound up in trouble with the law. But I don’t know all of the facts and don’t want to drag anyone through the mud. 😑 I guess you can’t always follow in your mentor’s footsteps. What an interesting subject. I think I’ve had a lot mentors over my relatively long life, but I didn’t always know it at the time. When I was much younger, I tended to shy away from anyone who tried to help me on my journey. I know, that makes no sense, but I think I often (if not always) didn’t believe I deserved the support these people offered. Yeah, I had issues. 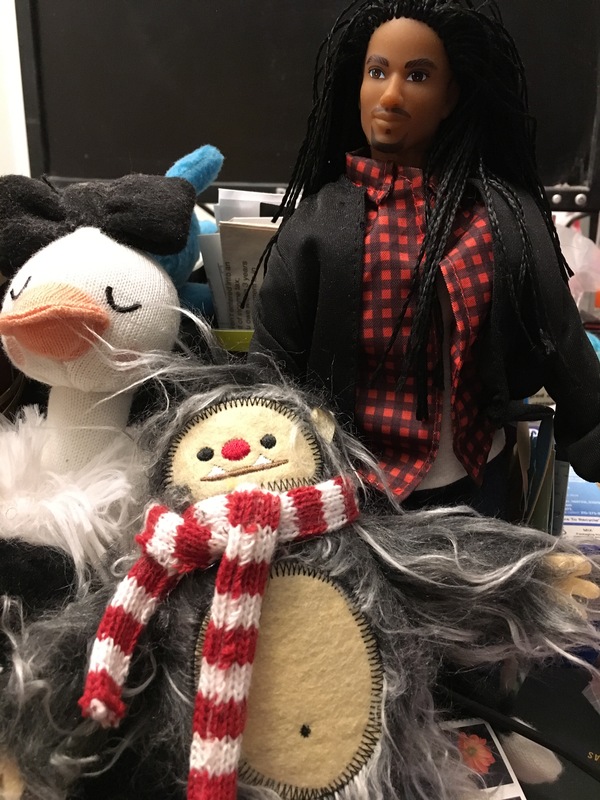 I had a couple of mentors when I enrolled in a long-distance writing program. It was a one-on-one relationship, all through snail mail. I’m no longer in touch with them, but their support and guidance was priceless. I’m not sure if I’d be a good mentor, unless I could do something long distance. I really liked getting letters from my mentors in the online course. I think those did more for me than a face-to-face meeting or phone call could do. I think you would make a wonderful mentor. You bring a real joy to your blog with your creativity and support of other writers. Thank you, Marie! 😊 I’ll bet you would make a great mentor. I remember enrolling in an online writing course and getting letters from a mentor, so your comment caused me to recall that time in my life ages ago. I have found that some people want mentors but think they should choose who will mentor them, rather than the person who actually does, if that makes sense. I remember wanting a best-selling celebrity author who was cool and charming. I had ridiculously unrealistic expectations for a mentor and the process of being mentored. That sounds like the best kind of mentor you can have–someone who knows the craft and can pass on that knowledge. Some authors might have big names. But that doesn’t necessarily mean they know how to teach what they know. Yay! I won! Thank you! Anyway, I’ve been thinking a lot about mentoring, because my latest novel features a mentor with some truly sketchy advice along with advice that’s lifesaving for the character who trusts him the least. And in the meantime, I’m mentoring a writer and enjoying the experience of seeing her ideas and story develop. I hope I don’t lead her astray! Lyn, I’m glad you’re mentoring someone. 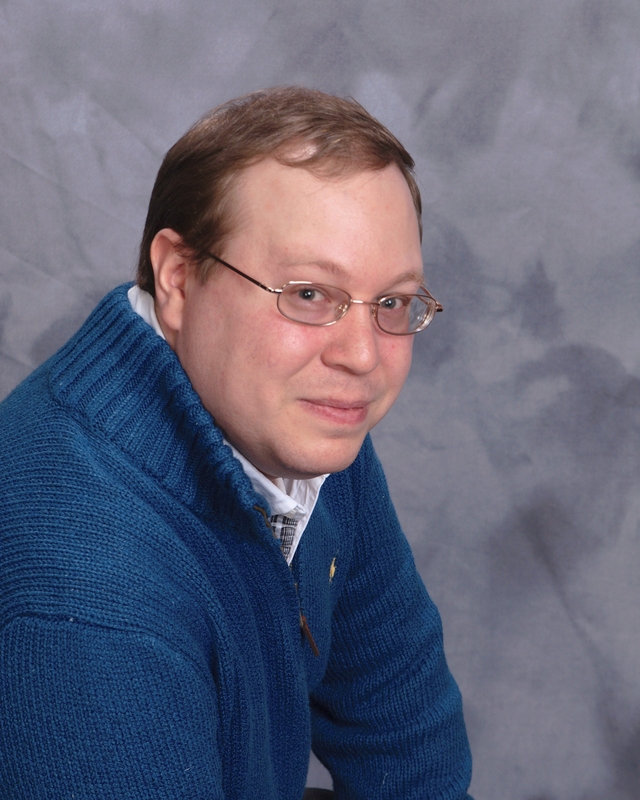 Is this writer working on historical fiction too or some other genre? Contemporary realistic, MG and YA. Oh okay. Hope that works out for her! Thanks for the reblog and for stopping by! Interesting post, L. I had a few people in my writer’s group who gave me great advice, but I don’t know if I’d call them mentors. I may have taken away one thing from someone that was helpful. I admire my critique partner’s writing, and just reading her helps me with my own. Aside from writing, what about a mentor for our lives that help us to grow as people? I’ve only had one mentor that made an impact. I was 20-something and had just moved to Florida. I was very lost spiritually and mentally. I posted a poem about her on my blog back in 2017. That was a lovely poem and post, Lori. The concept of beauty is a great discussion point. I’m glad your mentor made such an impact on your life. I’ve never had, or been, a writing mentor. Although I did serve as a volunteer youth mentor for a while. Sounds like that would be a great post to read, Andy. (Unless you’ve written one and I missed it.) I’m surprised that with your poetry, no one has asked you to be his or her mentor. I have to say that even if he had lived longer and you were able to enjoy the mentoring of such a gifted writer, he no doubt would have eventually nudged you ‘out of the nest’ so to speak when the time was right. I think that’s an essential part of being a mentor – guiding and enabling with the goal of setting the mentoree free and onto a sustainable path to continue in the creative lifestyle on their own. I don’t know if I’d call myself a mentor, but in my teaching I always included the tools necessary in enabling my students to continue to teach themselves as they progressed. I’m wondering, do you think creative ‘coaches’ are the same as mentors? Well said, Laura. I think you’re right. He would have pushed me out of the nest at some point (probably after reading a hideous draft of one of my novels for adults). Yes, I would call creative coaches mentors. Have you ever worked with one? I’m sure you’re a great mentor! What a thought provoking post, L. Marie. I have never had an assigned mentor, but, as I look back on my life, I have had many and I realize I have been a mentor unawares. 🙂 Many, many moons ago, my high school counselor was a mentor to me, encouraging and guiding me in college applications. It was always assumed, especially by my father, that I would go to college. That I would go away to college was not – but, I did! A big thing for a shy, awkward girl (think My Big Fat Greek Wedding – that was me). A garden club member mentored me in crafting press releases and writing garden descriptions, which led me to many new adventures, including working with students on their college applications (for pay $$$).Gratifying. I, in turn, have mentored others in the same way. The only time I was given the title of mentor was with a trio of high school girls in their confirmation process. I’m not surprised that you were mentored and are a mentor, Penny. I think about all of the people who know just what you like (like the lecture you attended recently that you wrote a post about). What a wonderful investment! Were you mentored when you ran for political office? Yes. I was mentored, by several wonderful people when I ran, all three times. Two women in particular led me through the logistics of filing, getting signatures and help from others, but several others guided me along and were invaluable. Back then, we had to cover the entire town on foot and through mailings. A male mentor, worked with me on campaign literature, navigating me through the difference of a campaign speech and written campaign literature. I was one of 11 running for 4 available spots. Oddly enough, at St. Patrick’s Day parade, a former alderman (and priest) came up to me and said “You’ve got a good chance to win. When you make your speech at the caucus, find where the camera is. Everyone in the room already knows who they are voting for. You need to convince who is watching you on television.” I was surrounded and mentored by many, L. Marie, and will always be grateful. Wonderful! So glad you were taken under the wings of so many wise people, Penny! And are you a mentor to people in your garden club also? When I try to identify mentors I had in high school and college, what I come up with are teachers who inspired me by their love of and appreciation for literature, philosophy, teaching, art. I didn’t think about writing until much later. And of course, then, I appreciated my professors at VCFA. One was especially warm and encouraging. Now my biggest support is my critique group. We guide and support each other. The idea of a full-blown mentor is very appealing–a real guide who stays with you for an extended period of time, who leads and supports you. It’s a lovely concept, but for most of us it probably won’t happen. And maybe we don’t actually need it. I think that’s true, Nicki. Television shows and movies paint mentoring as glamorous. I think of it as miraculous. It’s amazing that anyone would take the time to mentor someone for however long it takes. And maybe we don’t need an enormous amount of time, especially once we start our journey.